Mid-sized SUVs with exceptional amenities and pure performance are all the rage these days, thanks to their combination of family-friendly technology and cargo space. 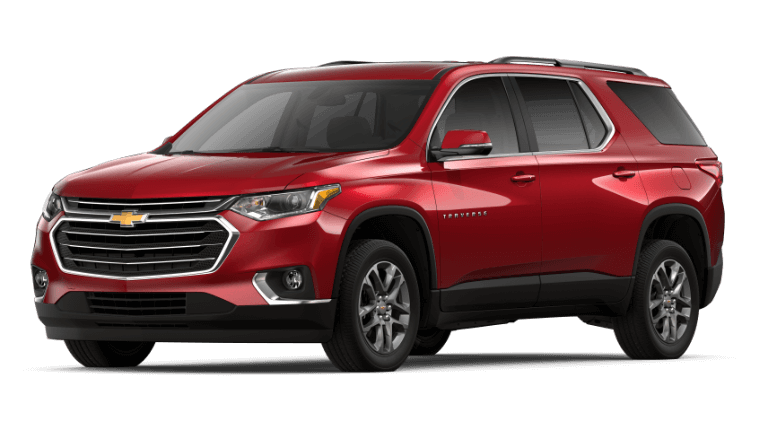 To help you with your research, our experts at Westlie Ford in Washougal, WA, have created this 2019 Ford Edge vs. 2019 Chevy Traverse comparison page. Below, we discuss the Ford Edge and Chevy Traverse engines, hauling capabilities, cargo space, safety, and technology. 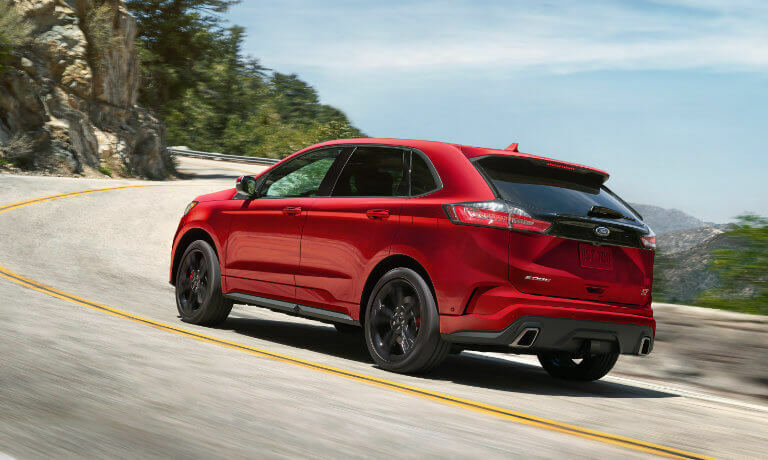 For the purposes of this comparison, we will be pitting the 2019 Ford Edge ST, with a starting MSRP of $42,355, against the 2019 Chevy Traverse All-Wheel Drive LT Leather, with a starting MSRP of $42,295. 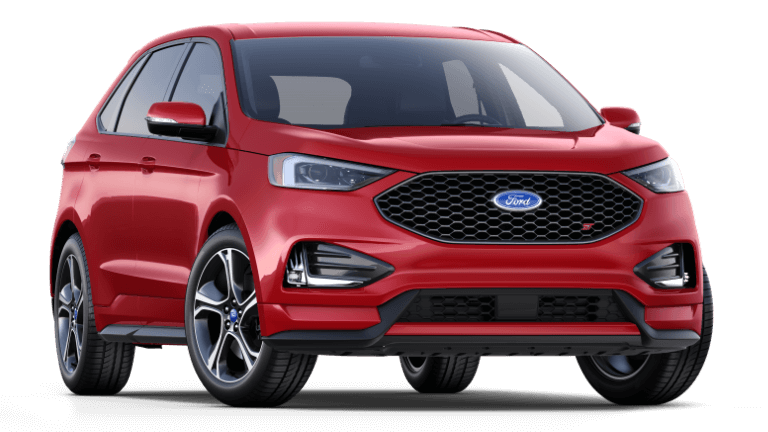 If you’re most interested in the Ford Edge, you can check out our Ford Edge informational hub or have a look at our inventory. Once you have an idea of which model you want to try, see our lease and finance offers, then schedule a test drive. Would you like to speak to a Westlie Ford representative? Either call us at (360) 602-2490 or use our online form. Both the Ford Edge and the Chevy Traverse have all-wheel drive and automatic stop-start technology. However, even though these two SUVs share some driving similarities, their engines deliver vastly different specs. The Ford Edge’s engine far outperforms the Chevy Traverse engine when it comes to horsepower, torque, and towing capacity. Have a look at the table below to see for yourself. The Chevy Traverse and Ford Edge share some similar interior design choices, such as leather-trimmed seating and steering wheels, and heated driver and front passenger seats. However, the Ford Edge’s interior finishes are far bolder. For example, the Edge’s steering wheel comes with City Silver stitching and the ST logo, and its leather-trimmed seats feature Miko inserts. When it comes to cargo volume, the Ford Edge provides 39.2 cu.-ft. of trunk space, whereas the Chevy Traverse only has 23 cu.-ft. of trunk space. 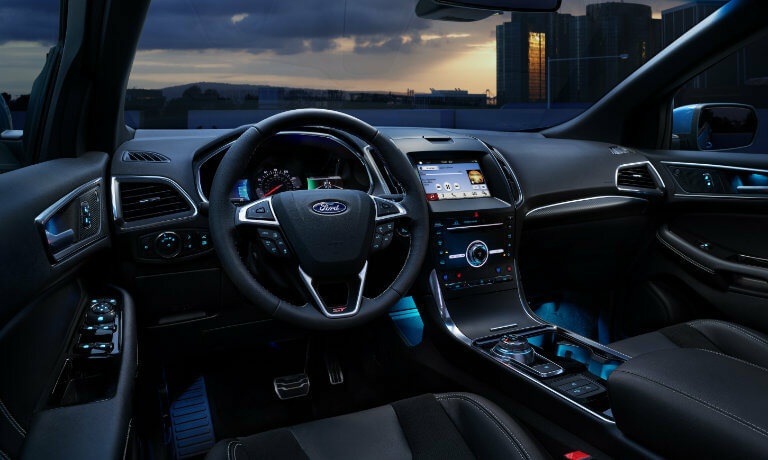 The comfortable interior of the Ford Edge also includes other features, some of which are listed below. Our youngest passengers are always our top priority, which is why both the Ford Edge and the Chevy Traverse have the LATCH system. 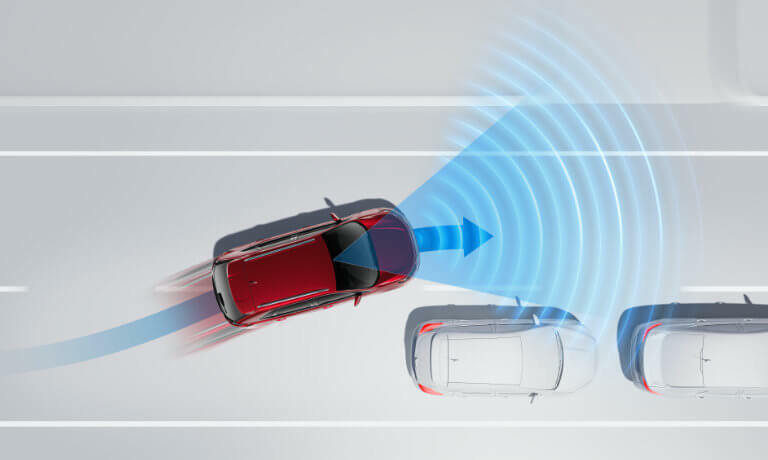 Additionally, both also offer a rear view camera, perfect for making sure you don’t back up into an unseen object. However, our experts agree that the Ford Edge’s safety features far surpass the Chevy Traverse’s offerings. Listed below are just a few of the safety aspects available for Ford Edge owners. Both the Ford Edge and Chevy Traverse have teenage driver safety systems built into their SUVs – Chevy’s named Teen Driver and Ford’s called MyKey®. Additionally, they both offer amazing sound systems. 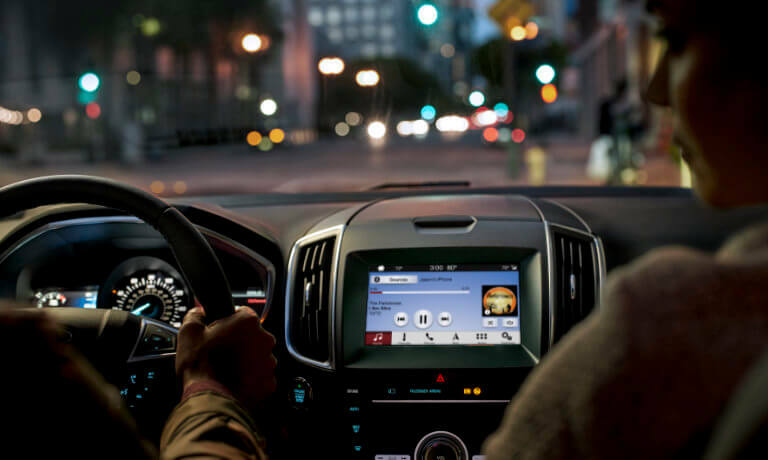 However, the Bose® premium audio system on the Chevy Traverse is only available, whereas Ford Edge’s B&O™ Premium Sound System by Bang & Olufsen comes standard. Listed below are some of the other ways our experts feel the Ford Edge outperforms the Chevy Traverse in technology. Do you think the Ford Edge is the right SUV for you? Then it’s time to find the model you’d like in our inventory, explore our lease and finance offers, and then schedule a test drive! Feel free to call us at (360) 602-2490 if you have any questions, or reach out online.